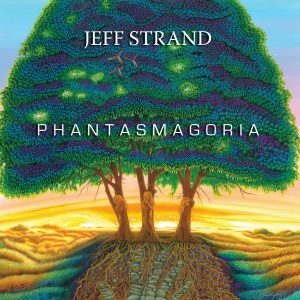 Jeff Strand – Phantasmagoria – Album Review | The Ark of Music – The best music in the world…you never knew existed. A Midwesterner, born and raised in beautiful Duluth, MN, Jeff actually didn’t pick up the guitar until he was in college. One evening, he watched a buddy of his rip off a sweet guitar solo and thought to himself, “I can learn to do that.” And that was all he needed. Now, twenty-five years later, we get to reap the rewards of his musical journey by reviewing his debut solo album, Phantasmagoria. Released in 2012, Phantasmagoria represents everything we love about independent music: It is UNIQUE, HAND-CRAFTED, DYNAMIC, and UNCLASSIFIABLE. With exception to a few scattered ooooohs & aaaaahs, it is an instrumental album that combines elements of blues, rock, acoustic, folk, new age, and natural world sounds into a landscape of music that could easily double as a science fiction film score. Copper Sky is a classic sounding piece of acoustic slide guitar and electric blues with a twist ending. Pegasus layers rich, ambient chords of electric guitars over the sounds of ocean waves crashing in the background. It is a hopeful piece that, while listening, builds an entire world of color and light within the soundscape. Ball Lightning is an energetic night out on the town with the boys. Just like your old crew way back when, the ripping electric blues on this track meander in & out of time, in & out of tune, and in & out of trouble. Seriously, it’s like I’m twenty years old again. Whishpool Blues is a Clapton-esque electric blues cut, with crazy-fun—almost “psychedelic” elements—wading into the mix about half way through the track. For all of you blues lovers out there, its basically like listening to just under five minutes of screaming guitar solos whilst canoeing through a river cave. That’s right, you heard me. Check it out for yourself. Just when you think you’ve got Jeff Strand’s Phantasmagoria all figured out, he concludes the project with Sunrise Earth. Waterfalls, thunder and lightning, rain, songbirds, and dare I say sunshine, intro this final track. Layers upon layers of synth and beautiful, light electric guitar melodies surface, come and go, and create a feeling of being carried along a path that leads to a place that was intended all along, a place that’s just for you—the listener. We are sure, positive in fact, that Jeff has visited that place as well. Perhaps Phantasmagoria was his road-map. Picture this: If Eric Clapton, Stevie Ray Vaughn and Jimi Hendrix were all jamming in a van with Enya driving…well, then, something similar to Phantasmagoria might be the lovechild that emerged. All in all, it is a wonderfully crafted, heartfelt piece of work. 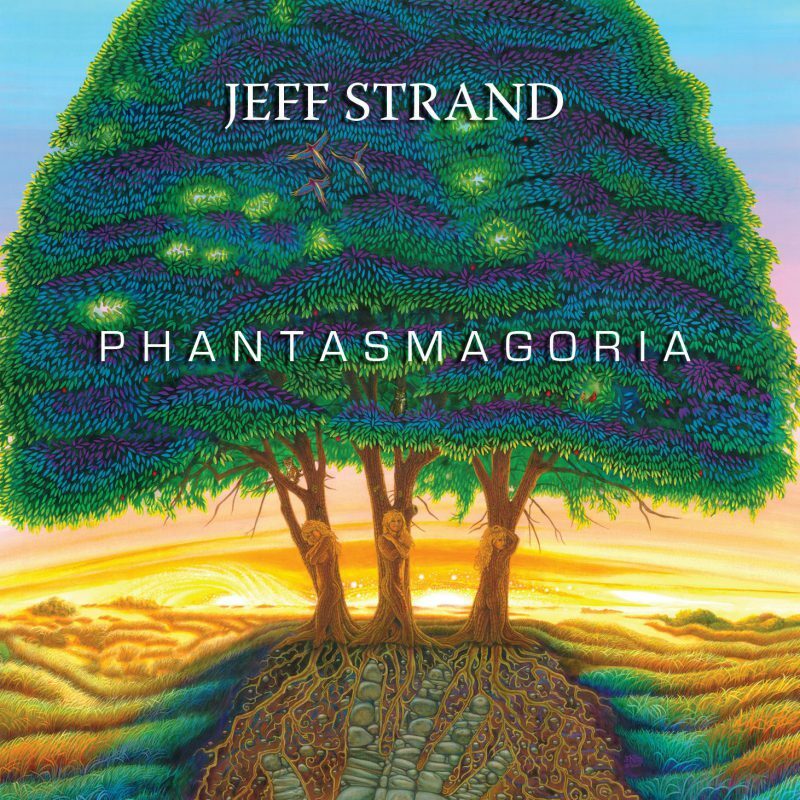 Below, you can listen to Jeff Strand’s album, Phantasmagoria, and connect with him on his social media platforms. 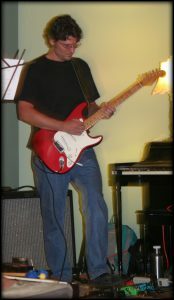 Please support Jeff Strand by visiting him online, and playing, downloading, and/or purchasing his music. And, as always, thank you for supporting real music!